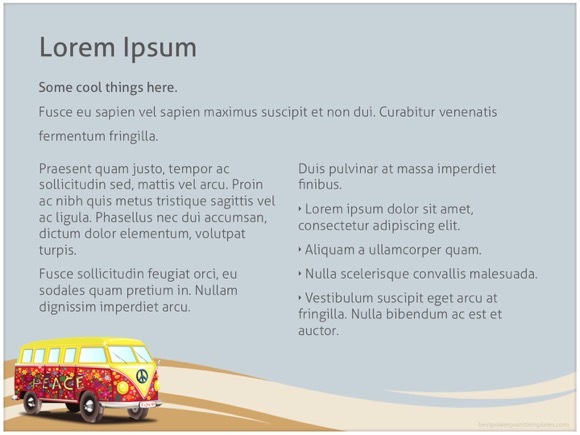 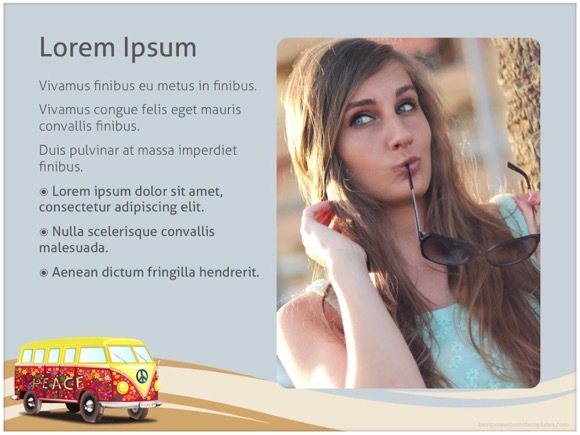 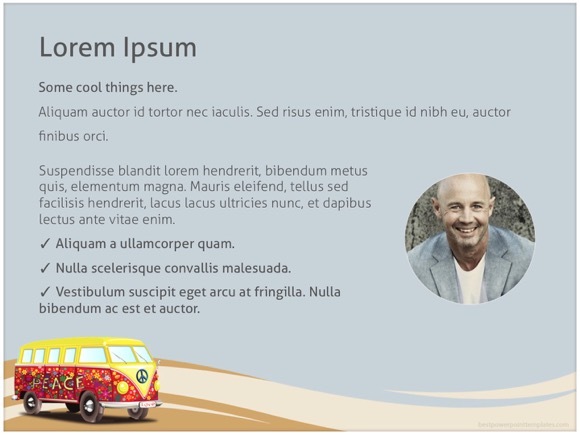 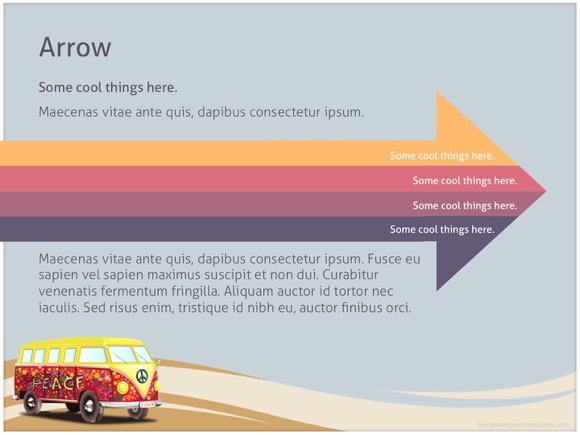 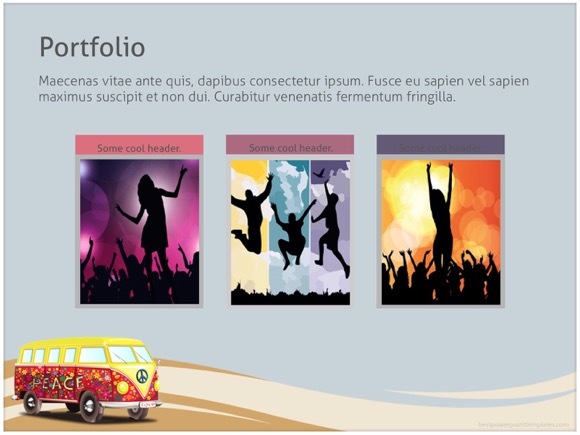 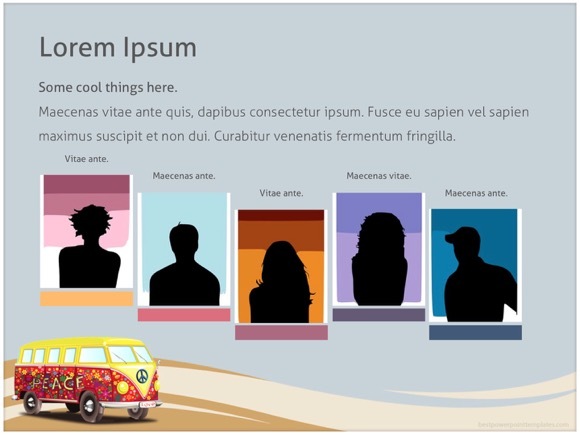 Hippie PowerPoint template - FREE! 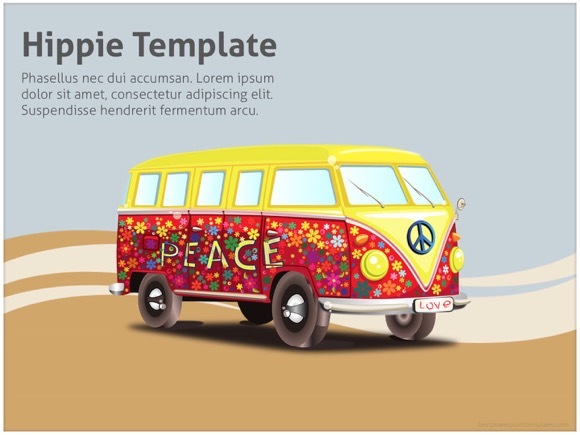 This is another amazing Hippie Powerpoint Template, which is great for presentations about hippies, cultural movements and similar topics. 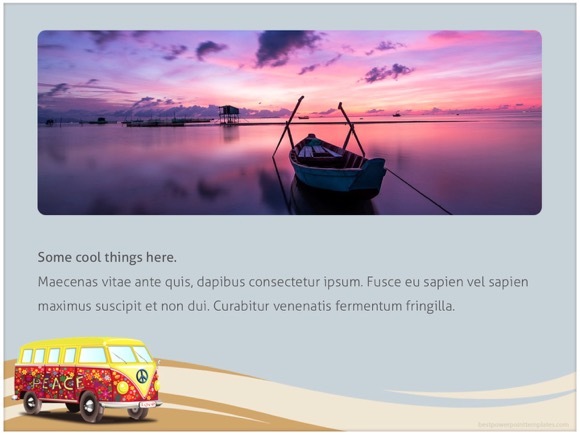 It uses neutral background theme, which is suitable for light and clear presentations. 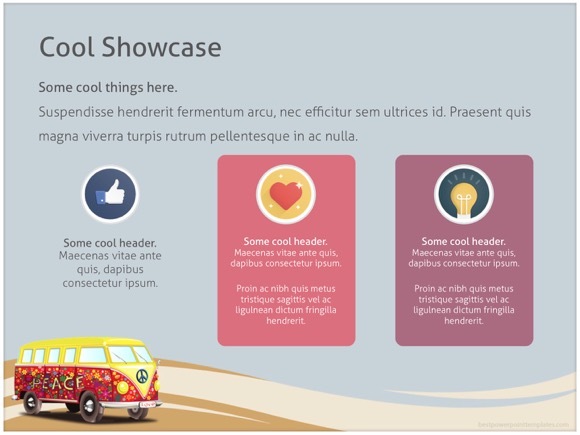 If you use this presentation, please aid me by spreading the word below.